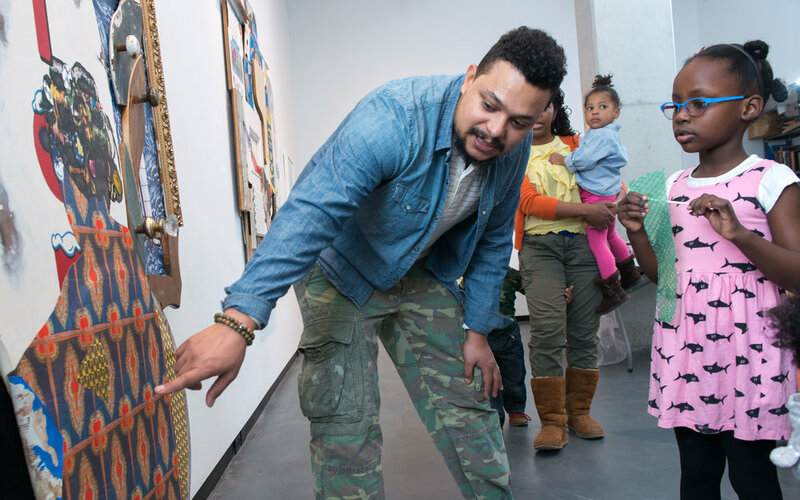 Our first artist-in-residence, David began his residency in February 2015, and led weekly art-making workshops with students at the Sugar Hill Museum Preschool through June. Each week, David exposed the four-year-old students to a genre, art terms, and skills, reporting that, “their faces lit up every time I introduced something new.” In his work, David often uses found and recycled material, a practice also used at the Preschool. The workshops culminated in a collaborative project – a large collage portrait of Phyllis Wheatley, the first published African American woman and poet, which will become a permanent work on display at the Preschool. David Shrobe is a New York-based visual artist who was born and lives in New York City. He earned his BFA and MFA from Hunter College in 2009 and 2013, respectively. 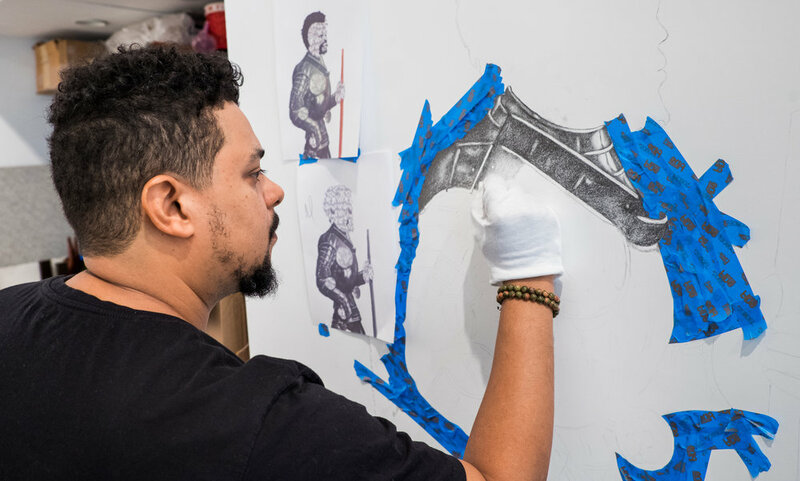 In partnership with The Laundromat Project, the Sugar Hill Children's Museum of Art & Storytelling selected Shrobe as its inaugural artist-in-residence for 2015-2016, also in 2016 he was awarded a Fountainhead Residency. He is an alumnus of the Skowhegan School of Painting and Sculpture, class of 2014. He was also a recipient of the Kossak Travel Grant for painters in 2013. Most recently, David was accepted to the Artist in the Marketplace (AIM) program at the Bronx Museum of the Arts, and will be included in The Fourth AIM Biennial in the summer of 2017.